With the Pharmafocus team having avoided hurricane Florence and finally arriving back in the UK just last night, after stopping by the FlyPharma 2018 Conference in Miami, FLA it’s time to look over this week’s top ten most popular news stories. Topping the list is the news that FDA recruitment official Melanie Keller has said that Trump is making it difficult to attract top talent; a claim which has been disputed by others inside the organisation. Meanwhile UK Health Secretary Matt Hancock took a page out of President Trump’s book in condemning ‘rip off’ pharma companies who he accused of ‘ripping off taxpayers’. Protests also erupted in Manchester over NICE’s decision not to approve the $750,000 drug Spinraza, while NICE also rejected Bristol Myers Squibb’s Opdivo. Nevertheless while our feature on drug safety after Brexit reached the top three, Novo Nordisk announced that they were stockpiling 16 weeks’ worth of insulin in preparation for a hard, no-deal exit from the EU. 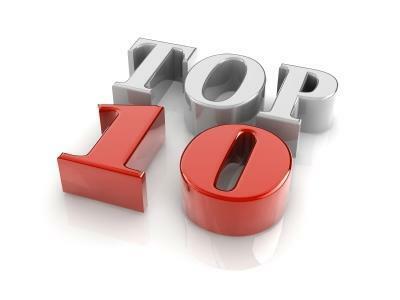 To find out more, check out this week’s Top 10 most popular articles on Pharmafile.com now! Novartis has revealed data from a range of multinational, real-world studies which reinforced the efficacy of its interleukin-17A inhibitor Cosentyx (secukinumab) in the treatment of moderate-to-severe psoriasis. Alcon, the eyecare unit of Novartis, is set to move to a new home next year, after its parent company revealed that the Swiss city of Geneva had been chosen as its new headquarters. Bristol-Myers Squibb has failed to convince NICE to approve the use of its PD-1 inhibitor immunotherapy Opdivo (nivolumab) as an adjuvant treatment of completely resected melanoma with lymph node involvement or metastatic disease. What does Brexit mean for drug safety in Europe and the United Kingdom? Louis Goss looks into Britain’s exit from the European Union and asks what the future might hold for pharmacovigilance on both sides of the channel. Danish multinational Novo Nordisk has announced that they are increasing their stocks of insulin products to ensure that there have 16 weeks’ worth of supplies, in preparation for a hard no deal Brexit. Melanie Keller, Acting Associate Commissioner for Scientific and Clinical Recruitment at the US Food and Drug Administration (FDA) has said that the Trump administration restrictions on hiring those who have lived outside of the United States, has made it difficult for the agency to attract top talent.